While the sheer number of supplements available to you has skyrocketed, one that’s been around for hundreds of years is cod liver oil. Naturally shelf stable and minimally processed, this oil contains important fat soluble vitamins that are difficult to get elsewhere. Cod liver oil is anti-inflammatory, disease fighting, and could actually make you feel better. I’ve had patients who’ve felt the difference cod liver oil made in their life – and pretty quickly. That’s probably because it’s a novel source of nutrients most commonly missing in our conventional, overprocessed diets. If you do a quick google search, you’ll find there are two different types of cod liver oils that are primarily talked about: extra-virgin cod liver oil and fermented cod liver oil. Let’s take a closer look at both and see why this difference matters. There are a lot more benefits that could be added to this list based on the contents of cod liver oil alone. These are some of the most important nutrients to your overall health. Omega-3 (DHA & EPA) – These forms of omega-3s are critical for your brain function. DHA turns on your brain derived neurotrophic factor – it’s growth hormone. This keeps your brain functioning better and wards off cognitive decline. Vitamin A – Vitamin A is a nutrient that’s key to optimal health but not readily available in nature. The best sources are animal liver because the vitamin A present is in its active form. Unlike beta-carotene where it has to be converted, preformed vitamin A found in cod liver is easily absorbed and ready to go. Vitamin D – Vitamin D is a more like a hormone than a vitamin. It has the power to influence your genetic expression, meaning your body can turn certain traits up or down depending on your vitamin D levels. The benefits of vitamin D go well beyond that – it fights illnesses such as heart disease, multiple sclerosis, and more. 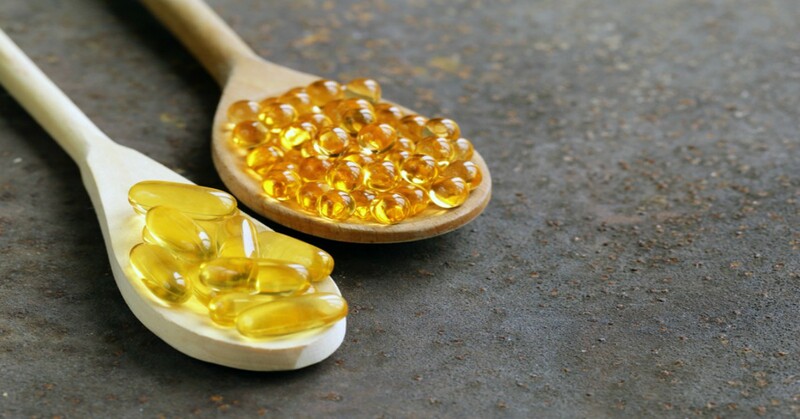 Another reason cod liver oil is so great is because it contains a natural balance of vitamins A and D. These are two fat soluble vitamins that have a synergistic relationship with one another. What about fermented cod liver oil? Fermentation is an ancient process that’s used across the world and across cultures. Before refrigeration, our ancestors used fermentation to preserve foods. Fermentation is the metabolic process where enzymes change the carbohydrates of a substance into an alcohol or an acid – therefore making it more shelf stable. With fermented cod liver oil, the belief is that this process makes it naturally more stable. Since fish oil isn’t very stable to begin with, many believe fermented cod liver oil is superior. In short, fermentation is a process that’s been around since biblical times and is incredibly effective in extracting and preserving foods without damaging their beneficial elements – especially oils. Extra-virgin cod liver oil extraction uses a process that dates back to the time of the Vikings. The process essentially steams the livers until the oil is released and collected. This process is very gentle and maintains the integrity of the final product. Extra-virgin processing is especially important because fat is easily damaged by heat or chemicals. Processing at a cool temperature allows the oil to keep high levels of vitamin A, D, and omega-3 content. Supplements can be great, but getting your nutrients from food is always better. Cod liver oil is one supplement that walks the line between a food-like supply and supplement due to its processing. How is fermented cod liver oil processed? You probably haven’t considered exactly how fermented cod liver comes to be, but it really matters to the quality of the end product. Actually, there’s only one way it should be done. The important point here is that the livers are fermented first. Then, the oil can be extracted. The cod livers should be soaked in a brine that makes them naturally ferment. During this process, the oil accumulates on top and can be carefully collected. Pretty strange image, huh? The idea of fermented cod livers. The alternative would be if the oil was fermented after, and that doesn’t make a whole lot of sense – because the oil is a fat that should not have a significant amount of fermentable carbohydrates present. High-quality producers of fermented cod liver know this and it would be an obvious fact in the description of their processing. That being said, it’s a good qualifier to make sure you’re getting the best supplement possible. Fermented cod liver oil is a supplement that has come under some fire in the past few years. Most of these concerns are related to a report by a nutritionist that called out a particular brand – Green Pastures. Her major concerns were that vitamin levels were actually lower than reported, one of three batches was found to be rancid, and the livers weren’t actually cod but Alaskan pollock. Though this report was about one brand, in particular, it has sparked a backlash against cod liver oils altogether. This why it’s so important to make the distinction between the two different processing methods. Green pastures is still the choice for many cod-liver oil users. The company seems to have addressed some of the problems outlined in this report. At this stage, if you want to try a fermented cod-liver oil, they are likely still a reliable source. There is a specific benefit of Green Pastures fermented cod liver oil. It is cold-processed through fermentation. This is important because processing with heat (which many other brands do) can damage the omega-3 fatty acids chains, which in turn makes them potentially harmful to ingest. Most companies bleach and deodorize the cod liver oil in processing it, and before they do that, they have to remove the naturally occurring vitamins to prevent them from becoming damaged. Some may even add the vitamins back in afterward – except that when they do, they add back synthetic vitamins instead of the naturally occurring ones. Supplementation quality depends on the food sourcing and preparation of cod-liver oil. I suspect some people will have more effective results with extra-virgin or fermented, so it may be an idea to try both, and check your vitamin D levels. This is a company that takes transparency seriously. They post third-party composition results and toxin reports on their website. In my experience, their product has been consistently fresh. For fermented cod-liver oil, Green Pastures, has had many reports of healing tooth decay and reversing dental disease and still have the most superior treatment of their product. If you are new to cod-liver oil. I’d recommend testing your vitamin D levels, trying one brand and re-test. It may be your body processes extra-virgin or fermented cod-liver oil differently. You can usually tell if a cod liver supplement has gone bad if it tastes fishy or if you get fishy reflux or gas. If that happens, throw your batch out. Have you tried a cod liver oil supplement before? Did you feel the difference? I’d love to hear which brands are your favorite and what their effects were. Thanks for the easy to understand explanation Doc!